To open a karaoke disc on a computer without special software - quite a problematic task, and in some cases even impossible. How to be in this situation? Insert a karaoke disc in the drive and open it with Windows Media Player. This is possible in few cases, mainly when the disc is counterfeit. Also try to use the program Nero. To do this, install it on your computer and make the file Association for selecting her to open content format of karaoke disc. After that, the program is automatically added to items possible to AutoPlay removable media. Insert a karaoke disc in the drive and select open the content using the utilities Nero. If neither of the above two ways does not fit, download Encore Karaoke Player (http://encore.lg-karaoke.ru/). Install it on your computer, you can open most drives of this type. Be careful, the program is not free, its use is from 15 to 50 dollars depending on license type. 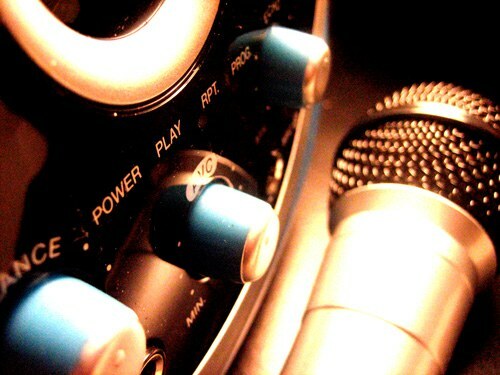 For playback the karaoke disc use Karafun (http://shara-soft.ru/multimedia/1342-karafun-120-rus.html). This player not only has the playback function of the contents of the disk, but the regulation of tone, settings, edit, disc and so on. In addition, the program is absolutely free. Unlike her Encore Karaoke Player that opens a greater number of disks than Karafun. Please note, many karaoke discs manufacturer Samsung can not open the standard Windows utilities or Nero, and other programs for startup disks of this type. In that case, if you need to open a karaoke disc to copy to the computer and further encoded files, use Nero or Alcohol 120%, and then perform the conversion with the help of special programs for video processing. Use the licensed software to open disks.